Asia sometimes feels like one big environmental emergency. Breathing Beijing’s air on a bad mid-winter’s day is more dangerous than breathing the smoke in a forest fire. The appearance of thousands of pig carcasses floating in a Shanghai river prompted residents to joke that they only had to turn on the water taps to get pork soup. They have a black humor. Surprisingly, there is a glimmer of green in this otherwise grim landscape. China invested $89 billion in clean-tech last year, two-thirds more than the U.S.’s $52 billion, according to figures from Bloomberg New Energy Finance. The rest of Asia spent $65 billion, as much as Europe and still comfortably ahead of the U.S.
China is putting in new solar plants and wind turbines at a rate that has never been seen anywhere. Already, China’s wind turbine capacity is the world’s number-one. It’s likely to take the top spot for solar capacity within the next year. China wants to get 20 percent of its energy from non-fossil fuel energy sources by 2030, double the portion in 2013. This counts nuclear — China has the world’s biggest nuclear program underway, too — and hydropower, as well as wind and solar. It was only in 2007 that the country’s leaders began talking about climate change. Since then, China has announced a series of increasingly impressive policies and targets. Last year’s agreement between Xi Jinping and Barack Obama was historic, with Xi promising that 20% of China’s energy would be from non-fossil fuel sources by 2030 and that carbon emissions would peak around the same time. China matters so much because it is the world’s second largest economy. But China is the largest energy consumer. It is notoriously inefficient in its use of energy — requiring about three times as much energy use to produce a dollar of output as the U.S. China burns almost half of all the coal in the world and is responsible for 30 percent of global carbon emissions, the gases that are the key contributor to global warming. China’s move to a cleaner economy could come much more quickly than official targets suggest. China’s coal use fell last year for the first time in decades. Planners have said that overall coal use will peak by 2020 but in fact China could be at or near peak coal levels right now, with coal use expected to start dropping in the latter part of this decade. Researchers at MIT and China’s prestigious Tsinghua University say that carbon emissions could level out in the early- to mid-2020s and start declining after that. This would come at virtually no cost in economic growth. It would, however, require more aggressive policies, including a tax on coal use as well as continued support for renewable power, such as solar and wind, in order to accelerate the transition to a low-carbon economy. What is driving this change? After all, it was not so long ago, at the Climate Change Conference in Copenhagen in 2009, that China said it had the right to pursue its own development path. All signs indicated that it wanted to ape the West’s “get dirty, get rich, get clean” strategy. Now China is cleaning up – for its own reasons. Air pollution causes a staggering 1.2 million premature deaths a year in China. Every year. Water quality and water scarcity are increasing problems. The more erratic weather that accompanies global warming disproportionately affects resource-stressed — and poorer and more crowded — countries like China. Public opinion from an increasingly affluent populace plays a big part. A hard-hitting anti-pollution documentary by Chai Jing, a former journalist at state broadcaster CCTV, Under the Dome, was viewed more than 300 million times after it was released in late February. Government censors then ordered it removed from websites. The documentary had support from reform-minded officials but faced powerful opposition from the country’s state-owned energy companies. China has a strong state and it has increasingly capable companies that can help make this transition possible. 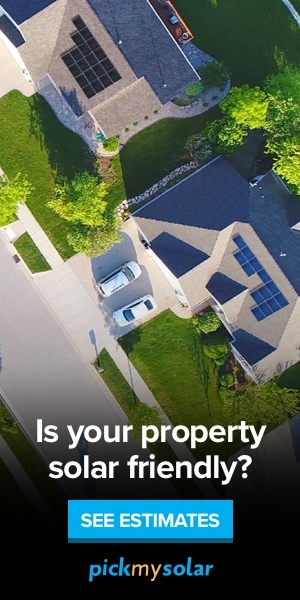 Its solar companies are the world’s largest. Goldwind, a wind power company, trails only Danish pioneer Vestas and is picking up contracts as China builds out the New Silk Road in places like Pakistan. Electric car maker BYD is known in the West because of Warren Buffet’s purchase of 10% of the company, but it is just one of a slew of competitors trying to look for alternatives in transportation. China’s environment isn’t going to be pristine any time soon. It takes a long time to re-orient a $10 trillion a year economy, even one as top-down as China’s. The backlash against Under the Dome appeared to reflect the influence of powerful energy companies, many of them state-owned. They aren’t in any apparent hurry to change, especially given the price controls that make it difficult to pass price increases on to consumers. Still, change is coming. China used to think that it couldn’t afford the cost of clean business. Now its people are saying that they can no longer afford the cost of business as usual. © 2015 Mark L. Clifford, author of The Greening of Asia. 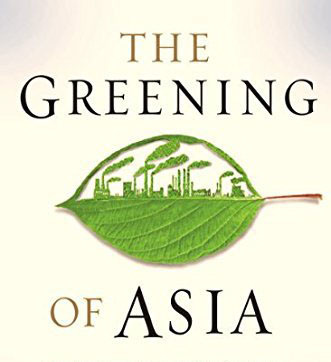 Mark L. Clifford, author of The Greening of Asia: The Business Case for Solving Asia’s Environmental Emergency, is the executive director of the Hong Kong-based Asia Business Council. During his prize-winning 25-year career in journalism, he served as editor in chief of the South China Morning Post in Hong Kong and held senior editorial roles at BusinessWeek and the Far Eastern Economic Review. He has lived in Hong Kong since 1992. For more information please visit markclifford.org.